Ready to book your annual summer getaway? Don’t wait for dreary spring showers to clear away. Right now, Southwest is offering deals on flights starting at $44 one-way. The airline’s latest fare sale runs until April 19, and is valid for travel between April 24 and June 13, and again from August 21 until October 31 on most routes. Short, regional flights are the most inexpensive to book, like $49 seats from Albuquerque to Phoenix, from Atlanta to Nashville, and from Indianapolis to Chicago. But there are enticing deals on international flights, too. 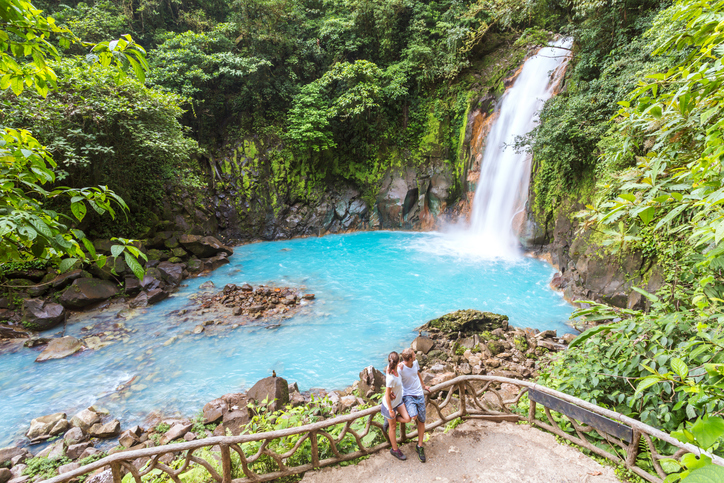 Fort Lauderdale-based travelers, for example, can fly to Costa Rica for $129, to Turks and Caicos for $59, and to Belize for only $59. Flights to Mexico start at $98 one-way, and trips to the Bahamas are on sale for $69. Other wanderlust-worthy destinations featured in the Southwest sale include the Cayman Islands, Aruba, Cuba, and Jamaica’s Montego Bay. To take advantage of the sale, head directly to Southwest’s promotions page, and search for results from your departure city.